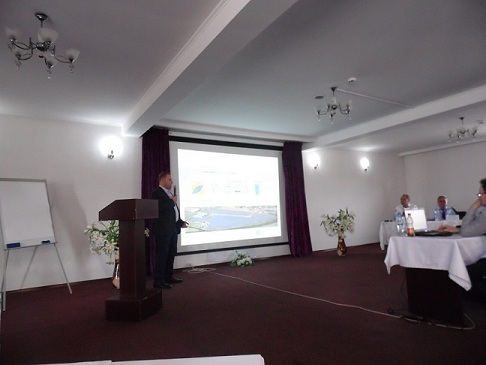 In the beginning of April 2014, in Shymkent, Kazakhstan, an annual international electric energy conference was held. Such events allow participants to demonstrate and discuss with other specialists developments in the electric energy field, as well as evaluate perspective developments by other companies. This conference was considered very important and was therefore, attended by GlobeCore representatives. The GlobeCore presentation focused on the CMM type transformer oil purification and regeneration units. The presentation elicited great interest from other conference participants. Representatives of several local companies in the field of generation, transmission and distribution of electricity invited our speaker to discuss the specific points and benefits of using oil purification units at their home locations. The visit lasted for several more days, when GlobeCore’s engineer spoke with colleagues from Kazakhstan. The conclusion was unanimous: GlobeCore’s products for transformer oil reclamation and regeneration can and will be used by local facilities.